Everyone have a safe and happy Thanksgiving! 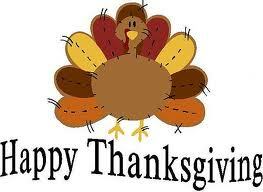 I know I will be enjoying the turkey, parade, and football, and counting the many blessings I have. Enjoy!